It was a bit surprising to see Aaron Sorkin apologize to Mark Zuckerberghttp: just last week over the intended offense taken from his 2010 film The Social Network. Sorkin isn’t exactly known for pulling punches. His 2007 Charlie Wilson’s War screenplay offers a favorable depiction of its titular politician, but hardly a squeaky clean one. He has lambasted the blogging community as “pajama people.” And you can guess that the feel-good nature of his Billy Beane story Moneyball was Steve Zaillian’s contribution, while Sorkin handled what he does best: the (literal) inside baseball. And now, he might be cutting Steve Jobs with that same razor. Sorkin has articulated the vantage point of his developing Jobs biopic — he will paint Jobs’ daughter Lisa, whom the entrepreneur abandoned as a baby, as his “heroine,” thanks to the real life Lisa’s recent contributions to the construction of Sorkin’s story. Lisa Brennan-Jobs, a 36-year-old writer and journalist, apparently steered clear of Walter Isaacson during his authorship of his biography on her father, which was written prior to his death. In the wake of Jobs’ passing, Lisa has come to collaborate with Sorkin on his feature film, suggesting perhaps that we might be in for yet another biting portrayal of a tech icon. Lisa’s relationship with her dad can be called complicated; as seen in Ashton Kutcher’s decidedly mediocre Steve Jobs biopic, the Apple founder abandoned his wife and child shortly after the latter’s birth, giving himself in full to his professional life and only reconnecting with Lisa in her teen years. This is hardly the sort of thing that a writer like Sorkin is wont to whitewash — in The Social Network, we saw Jesse Eisenberg’s Mark Zuckerberg character spiral out of control after raining blows of narcissism and egomania upon his girlfriend (played by Rooney Mara). Had Mara’s character been deemed the “heroine” of her story, we can image just how much further the Zuckerberg villainy may have been carried. 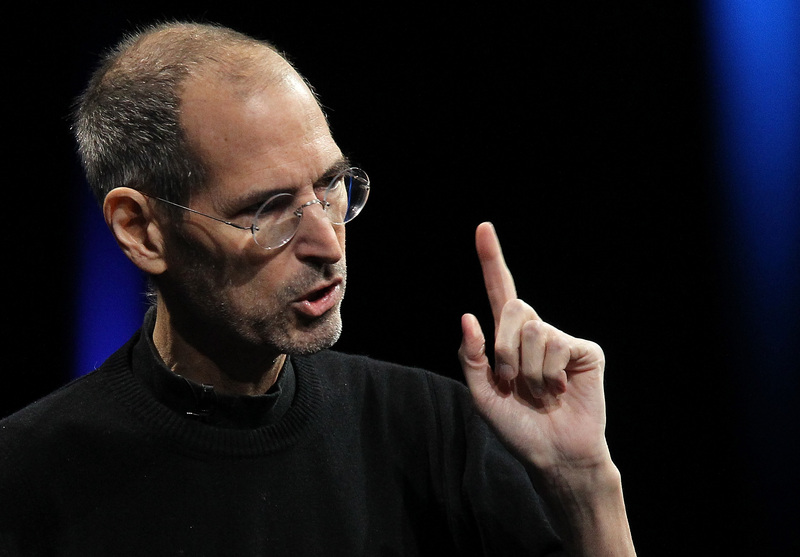 So is that what we’re gearing up for with Sorkin’s Steve Jobs picture? Perhaps the more pressing question tied to Sorkin’s announcement that the Lisa character will in fact be his protagonist: will he actually write a woman worth watching this time? Sorkin’s female characters — especially those in his current small screen venture, The Newsroom — have been spotlighted as particularly regressive illustrations of professional women. At the dawn of the HBO series, The Newsroom’s ladies spoke mainly of beauty products, had no idea how to handle technology, and existed principally to (as Amy Schumer so cleverly puts it in her hilarious Sorkin parody sketch), make great men greater. Although by nature of the film being a Steve Jobs biopic, Lisa (and every other supporting character) might stoop to playing a function of the tycoon, that doesn’t mean she has to be a flat or hollow piece of machinery. Hopefully, Sorkin’s branding of the young woman as his “heroine” will come with all the depth and shadows that such a superlative entails. And this should take way even at the expense of Jobs’ image, which might already be coming away with a few pockmarks if Sorkin is following suit of his Facebook movie. So, with hints pointing to a prickly illustration of the Apple founder, will Sorkin wind up apologizing for yet another merciless depiction of a popular figure? Eh, at least he’ll always have a friend in Billy Beane.